UK, 2005, 100 minutes, Colour. David Suchet, Robert Bathurst, Anna Calder Marshall, Monica Dolan, Geraldine James, Michael Fassbender, Lucy Punch. After the Funeral is one of the sixty-two episodes in the Poirot series starring David Suchet. They began in 1989 and were still in production almost twenty years afterwards. David Suchet has become the standard screen Poirot (Peter Ustinov appearing in four films and Albert Finney, appearing like Suchet, in Murder on the Orient Express). Television also produced a number of Agatha Christie adaptations of Miss Marple stories (with Margaret Rutherford, Joan Hickson, Geraldine McEwan). Adaptations of Agatha Christie stories have been a staple of film and television for more than sixty years. This is a typical Poirot story, he investigates with his solicitor friend Gilbert Entwistle, discovers strange doings with a family after a change of will. However, as always, things are not what they seem. 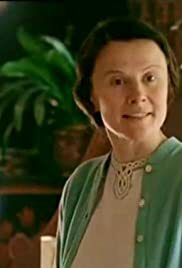 There is a very interesting performance by Monica Dolan as the mousey companion, Miss Gilchrist – the most unobtrusive character who is, of course, the guilty. David Suchet embodies all the fastidiousness of the little Belgian that Agatha Christie gave him. Michael Fassbender (Angel, Hunger) is the most suspected character. Lucy Punch gives an interesting performance as a righteous Christian member of the family. The film was directed by Maurice Philips, a regular for television dramas. 1.The popularity of Agatha Christie mysteries? Their style, clues, villains? 2.The film adaptations of Agatha Christie, David Suchet as Poirot embodying her description? The comparison with Peter Ustinov and Albert Finney? 3.The character of Poirot, self-sufficient, his vanity, style? His clues? The investigations, the interrogations, the gathering together for the final explanation? 4.Gilbert Entwistle, his friendship with Poirot, the mystery of the will, the missing documents, his friendship for Helen? His concern? 5.The death of Richard Abernathy? Helen with him? His fight with George? The will and everybody gathering, their hopes, the exclusion of George? His reaction? His mother’s reaction? 6.Suspicions on George? His personality, his behaviour? His relationship with Susanna – and the revelation of the liaison? The truth, the fact that Abernethie was his father, his anger? The fight? His changing the will? His confession of the truth? 7.Maude and her husband? His fussiness? The revelation that he changed the documents? His using her as a servant? Being present, his being unmasked – especially his running concerning the documents? 8.Helen, her relationship with Richard, with her son? Her kindness, the mystery of her disappearance, scattering Richard’s ashes? Her son’s antipathy towards her? Her phone call, her being attacked? The revelation of the truth? 9.Cora, her coming to the funeral, the eccentricities, her manner, recognising the servant, sharing stories? The news of her brutal death? Her husband, the art expert, his coming? The discussions with the family? With Miss Gilchrist about the paintings? Poirot using him to make the revelation about the Rembrandt? 10.Miss Gilchrist, unobtrusive, her past, the story of her tea shop, the Lyons Cafes putting her out of business? In companionship, her fussing around the house? Her memories of Cora? The gift of the paintings? The discussions with Susanna and George? Her being poisoned with the cake? Her recovery? Poirot and his discussions with her? The revelation of the truth, her hatred of Cora, wanting the Rembrandt? Her mad outburst at the end? 11.Janet and Michael, the theatre, the poor play, the reaction, Helen coming to see it? Their wanting the money? The revelation of Michael’s affair? Janet’s pregnancy? 12.Susanna, her concern about the missions, collecting money, the nuns? Her going to see Cora, her giving herself away, the relationship with George? 13.The police, the investigations? The standard characters like the butler, the vicar? The doctor? 14.A satisfying Agatha Christie murder mystery? Clues? Poirot’s solution?